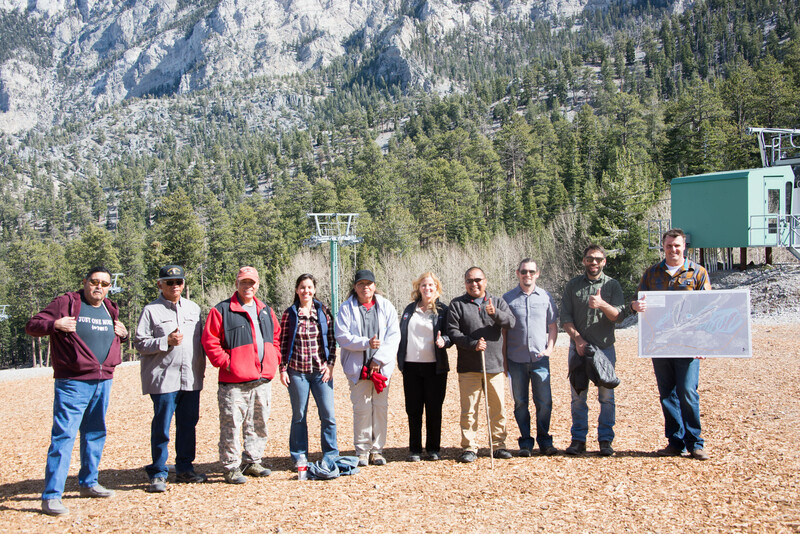 Working with representatives from the Nuwuvi (Southern Paiute) and the U.S. Forest Service (USFS), TMI facilitated comments on a 2018 draft Environmental Impact Statement for the Lee Canyon Ski Area, situated within the Spring Mountains National Recreation Area. The Nuwuvi Working Group and USFS representatives provided comments on the proposed changes to the ski area. Their suggestions included details on where Native American interpretation and resource stewardship could be integrated into the ski area’s new plans.